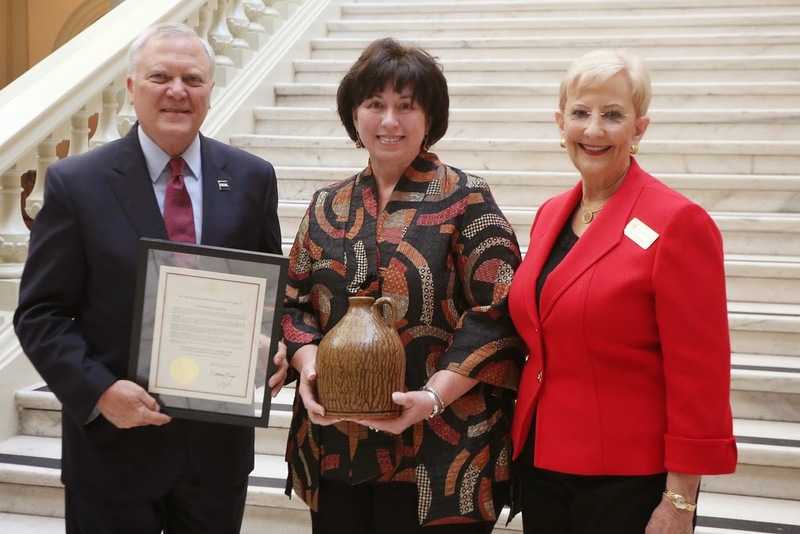 Governor and Mrs. Nathan Deal and the 2014 Governor's Award. This year's recipients were said to exemplify Georgia's thriving and always-expanding creative sector with various programs, financial contributions, and active connections and devotion to their communities. The Russell Library was recognized for its 40 years of showcasing Georgia’s political history through its collections, exhibits, symposiums, and programs. With particular emphasis on the role of Georgia and the U. S. Congress, the Russell Library's collection development and programming focus on the dynamic relationship of politics, policy, and culture—generated wherever public interest intersects with government. The breadth and depth of Russell Library’s collections provide an interconnected framework of perspectives and experiences for understanding the increasingly diverse people, events, and ideas shaping Georgia’s political landscape. The Library pursues alliances and opportunities for collaboration with individuals and organizations that advance its mission. Russell Library is a founding member of the Association of Centers for the Study of Congress and a primary partner and official repository for the Foot Soldier Project for Civil Rights Studies, a collaborative project dedicated to documenting and chronicling the activity and perceptions of lesser known participants in the civil rights movement in Georgia. In celebration of its 40th anniversary, the Russell Library is hosting a Scholars & Policymakers Symposium on October 27-28, 2014. Events will include a forum on the library’s beginnings, a documentary film screening on former Secretary of State Dean Rusk, and a series of panel sessions focused on the library's key collecting areas. This two day event will feature twenty five acclaimed speakers who will highlight the impact of Russell Library collections.